Everyone involved in autoracing dreams of Formula One, the very apex of the racing world. Yamaha had steadily established a track record in autoracing through racing in Formula Two and F3000. 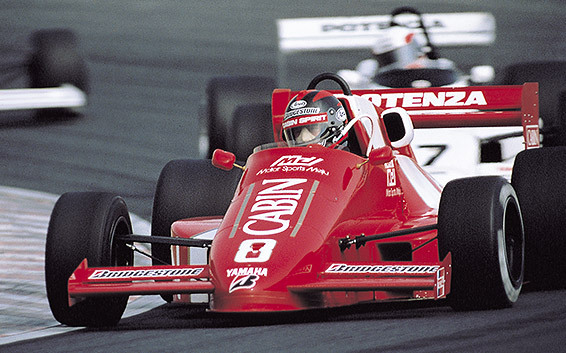 In 1988, Yamaha partnered with a firm in then West Germany, Zakspeed Formula Racing, to form a Formula One racing team: the West Zakspeed Yamaha Team. The team took on the Formula One Grand Prix with a new racecar equipped with a new Yamaha-original engine, the OX88. 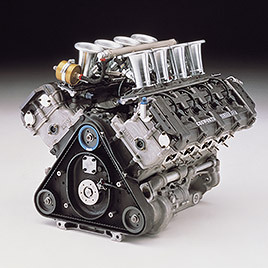 The engine was a 75-degree, 5-valve DOHC V-8 that had a displacement of 3,489 cc and generated a maximum output of over 600 horsepower. The team introduced the new engine in the 1989 season. Aguri Suzuki, who had already made the step up to Formula One, joined the team and faced high expectations as the second ever Japanese Formula One driver following Satoru Nakajima. 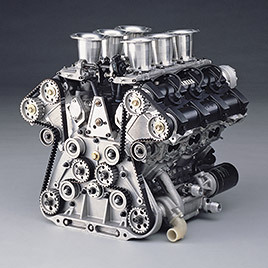 The team had a somewhat difficult time at first, but in 1990, a compact, lightweight engine to succeed the OX88 was announced: the OX99. It was a 70-degree 5-valve V-12 that offered 3,498 cc of displacement, and like the OX88, turned out more than 600 horsepower. 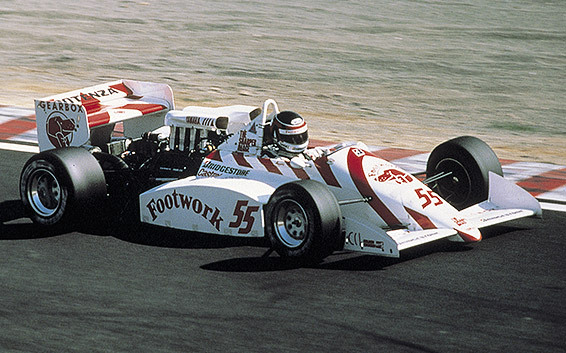 At the 1991 United States Grand Prix, the first race of the 1991 Formula One series, the company participated as a part of the Brabham Yamaha Formula Team with a car equipped with the new OX99 engine. Other Yamaha-backed teams, the Jordan Yamaha Team and the Tyrrell Yamaha Team, soon followed. Thereafter, Yamaha continued to take on the challenge of Formula One. 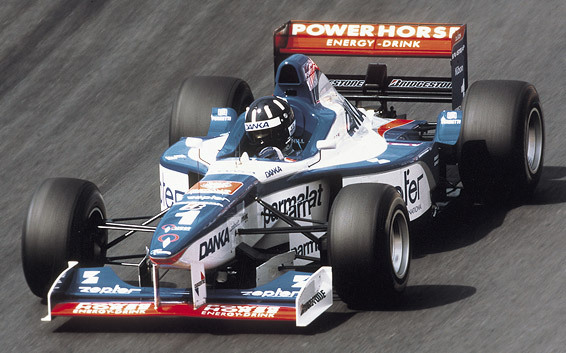 In 1997, Damon Hill, driving for the Arrows Yamaha team, took second place at the Hungarian GP. That year, though, marked the last year of Yamaha’s participation in Formula One racing. 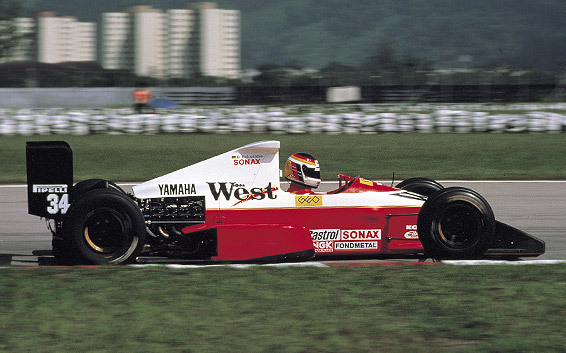 Yamaha competed in Formula One as an engine supplier over a period of eight years since 1989 and its engines appeared in 116 races. Apart from its record in the races, the company also established a position for itself as a member of the Formula One community in Europe through continuing aggressive activities in the racing arena. Yamaha gained valuable benefits from its foray into Formula One, including diverse experience, expertise, and personal contacts.